It's TV's BATMAN! This Adam West-influenced figure was made from Mego's original "painted-on cowl" Batman(and suit)! 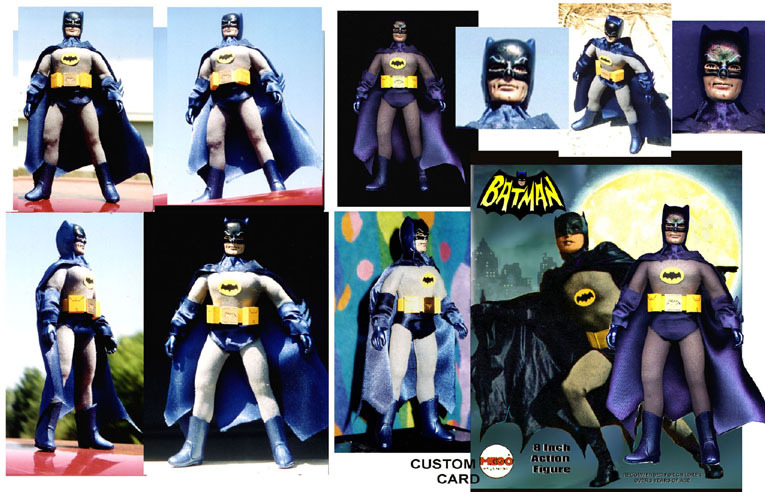 Add high-gloss paint and fabric, a utility belt made from Foamcore, and you've got a great 1966 Batman! POW! ZAP! !